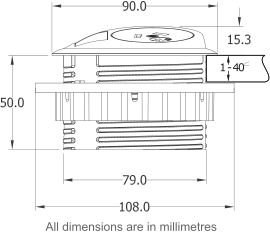 Install in a standard 80mm Ø aperture. Power & TUF A+C USB fast charging. 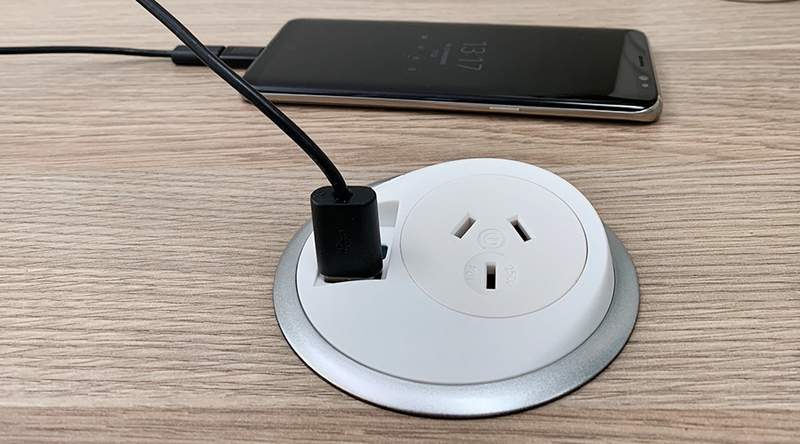 PixelTUF discreetly presents both mains and TUF A+C USB fast charging power in an ultra-compact form, meeting the growing need for easily accessible mobile device charging in informal areas. 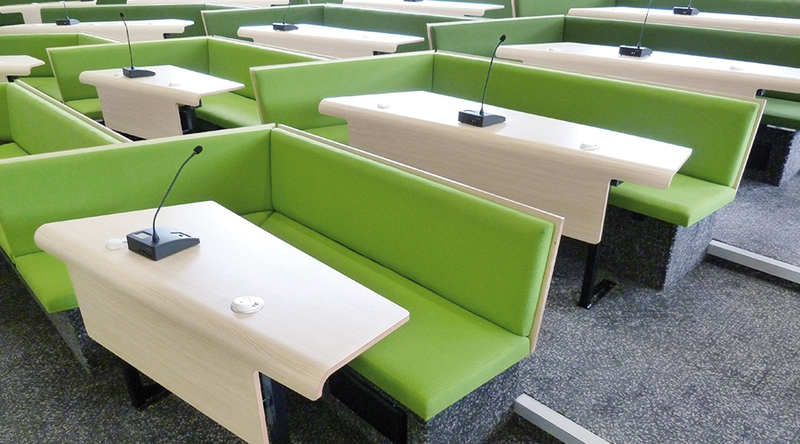 Perfectly suited to breakout areas and smaller meeting rooms, in offices, hotels, and other public spaces – installation of PixelTUF is only limited by the imagination. 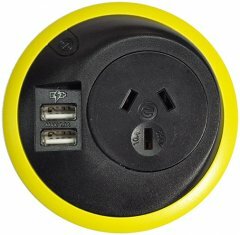 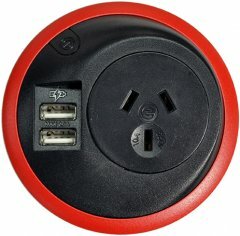 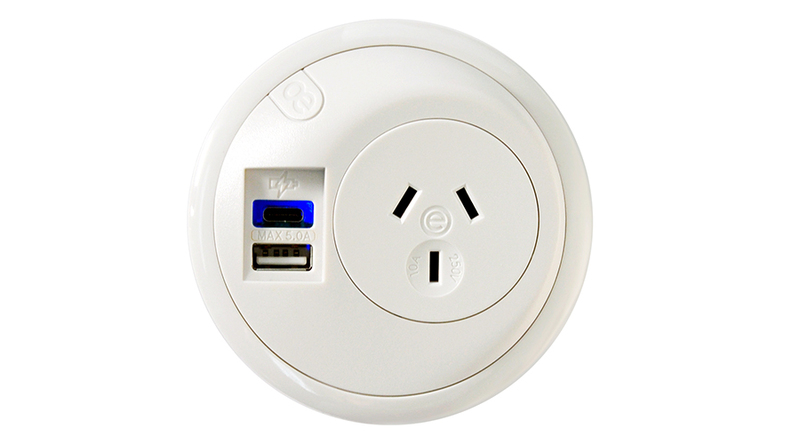 PixelTUF can be specified with either an Australian socket, or a wide range of international power socket options. 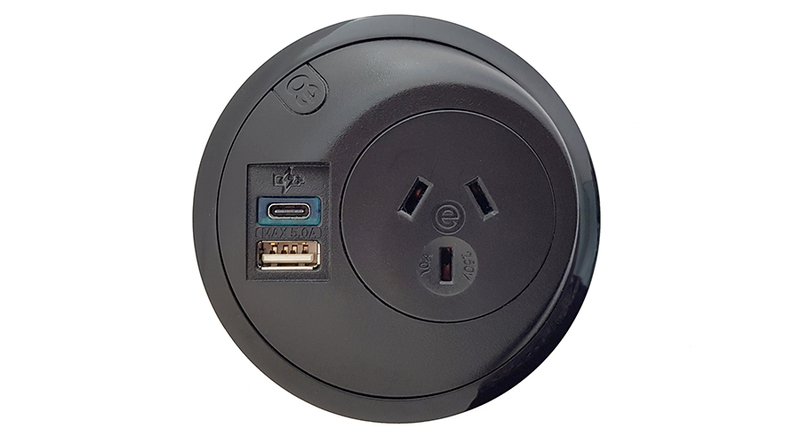 Fast USB charging of up to two mobile devices is provided via the fully integrated TUF A+C USB fast charger. 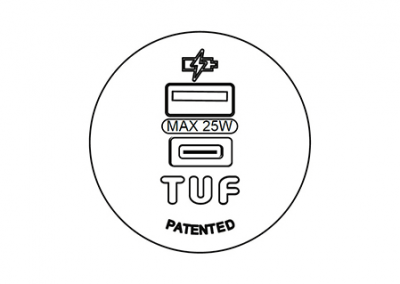 PixelTUF is available from stock in white or black with white, black or a satin silver grommet ring. 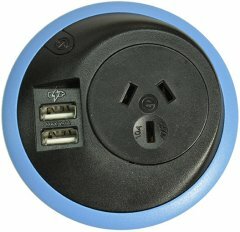 PixelTUF 8 offers alternative decor matching ring colours on request. 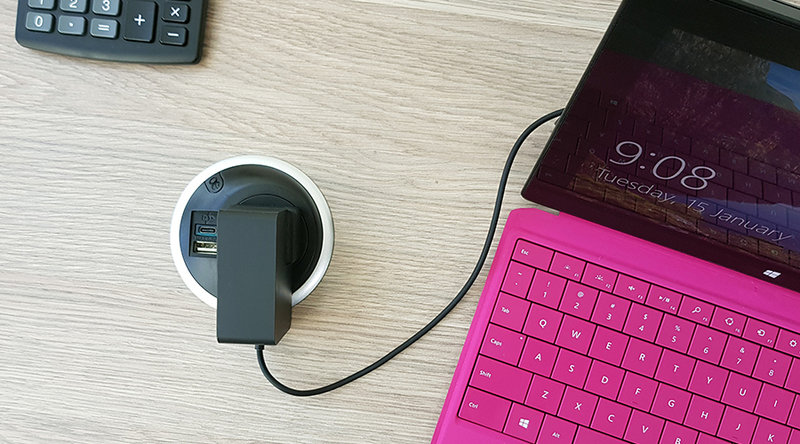 PixelTUF comes standard with our TUF A+C: Twin USB Fast charger fitted. 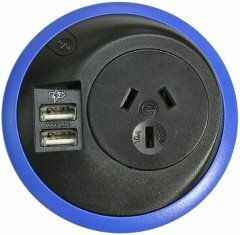 PixelTUF’s single socket out may be configured with a power socket or our class leading TUF A+C: Twin USB Fast charger. 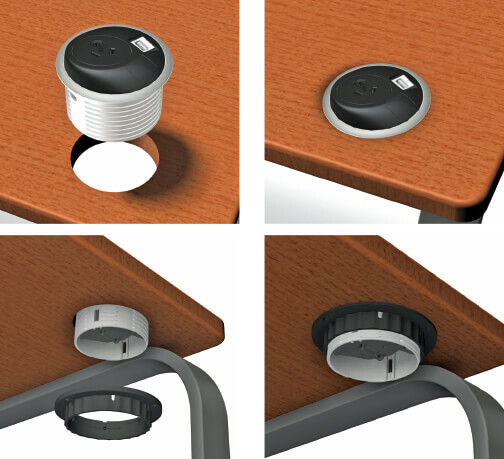 To fit PixelTUF into your desk couldn’t be simpler. 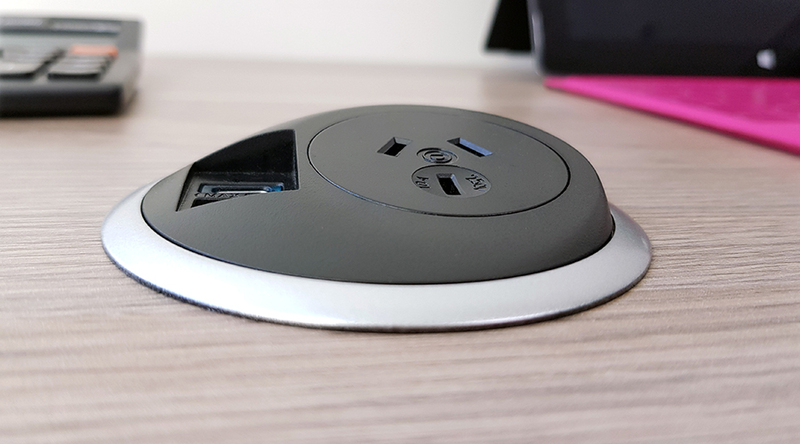 If your desk already has an industry standard 80mm hole* simply take the fixing nut off your newly purchased PixelTUF, feed the cables through the hole and gently slide your PixelTUF into place. 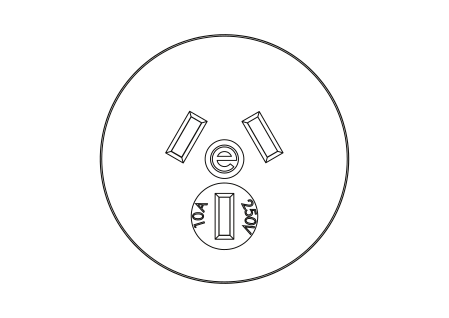 Make sure your PixelTUF is facing the desired orientation and screw the fixing nut back on until it is firmly in place. 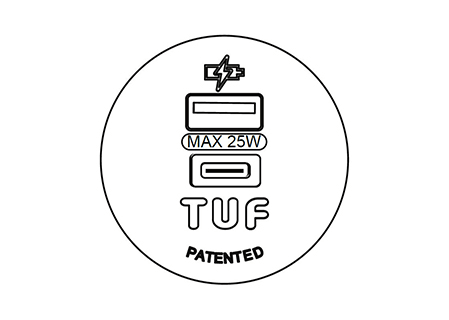 PixelTUF will fit any surface from 1mm to 40mm. 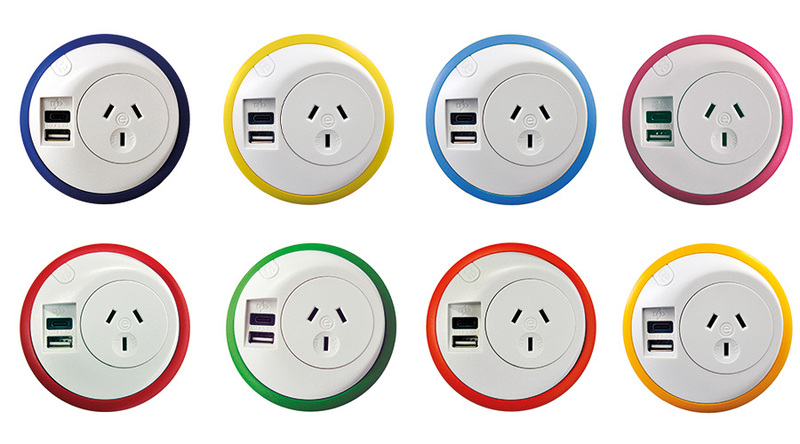 Add a splash of colour to your world with the PixelTUF-8 range from OE Elsafe. 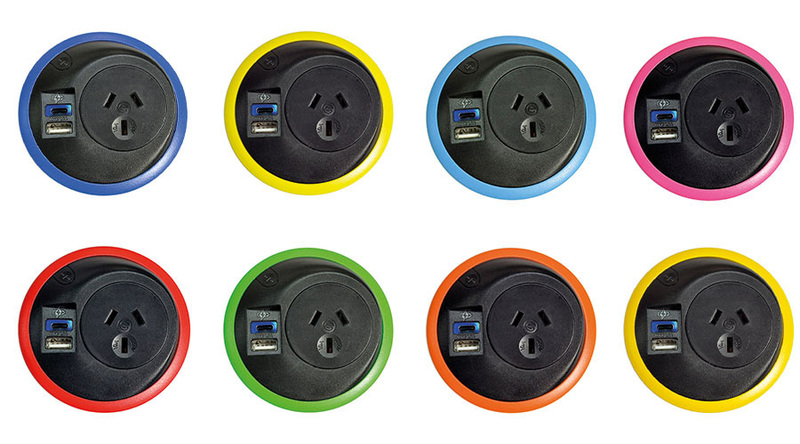 With a choice of 8 different colours the PixelTUF-8 grommet rings can be added to any PixelTUF configuration.